Both assays have the advantage of high sensitivity and high specificity compared with the in vitro regulatory battery assays, reducing the number of misleading positives early in compound development. The assays have been extensively validated across a wide range of applicability domains, demonstrating high utility and accuracy for the screening of genotoxic hazard. 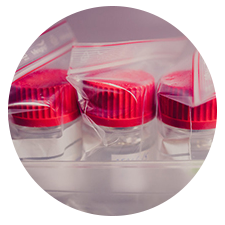 BlueScreen™ HC and GreenScreen® HC are able as both reagent kits and as contract service options. Gentronix provide BlueScreen ™ HC and GreenScreen® HC reagent kits and training, enabling our clients to carry out genotoxicity screening using this technology within their own institutions and laboratories. BlueScreen™ HC and GreenScreen® HC are offered with rapid delivery of high specificity data and minimal compound requirements. 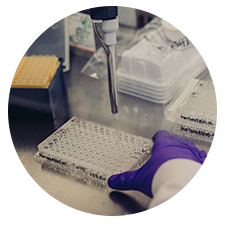 As the originators of these assays, Gentronix has unique knowledge and expertise in the performance of these assays and data interpretation. The not for profit organization Clean Production Action (www.cleanproduction.org) based in the United States provides a hazard assessment and decision support method for the evaluation of chemicals (GreenScreen® for Safer Chemicals). This method should not be confused with GreenScreen® HC from Gentronix which is a human cell based reporter assay for the determination of genotoxic hazard. Both Gentronix and Clean Production Action acknowledge the use by the other of the GreenScreen trademark in their respective fields.